Simplicity™ Fluff Underpad Underpads by Covidien are designed with a soft, breathable topsheet, fluff absorbent core and waterproof, polypropylene backing. 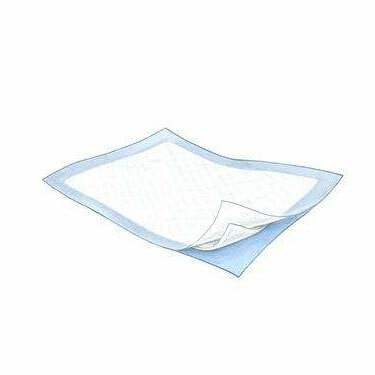 These pads are specifically designed for light to moderate absorbency needs. 23" x 36". 150 sheets per case.